Friday, June 24. Lansing, Kan. Leavenworth Cruisers Cruise Night. Burger King. 391 N Main Sreet (in the Carriage Hills Shopping Plaza), 66043. 6:00 p.m.-9:00 p.m. For more information, call (913) 240-67755. Friday, June 24. Overland Park, Kan. Longbranch TGIF Cruise sponsored by Hollywood Nights. Dan's Longbranch Steakhouse & Saloon, 9095 Metcalf, 66212. 6:00 p.m.-10:00 p.m. For more information, call Dan at (913) 642-9555. Friday, June 24. Overland Park, Kan. Fast Fridays Cruise at KC Trends. 13300 Grandview Street, 66213. For more information, call (913) 962-5200, or e-mail sales@kctrends.com. Friday, June 24. Blue Springs, Mo. Friday Night Winstead's Cruise. 7-Highway and I-70. 6:00 p.m. For more information, call Jim at (816) 847-2116. Friday, June 24-Saturday, June 25. Gardner, Kan. Kansas City Area Vintage Aircraft Fly-In hosted by the EAA Vintage Chapter 16. Gardner Municipal Airport (K34). For more information, call Kevin at (816) 985-3248, or Jeff at (816) 729-3151. Friday, June 24. Kansas City Metro Area. 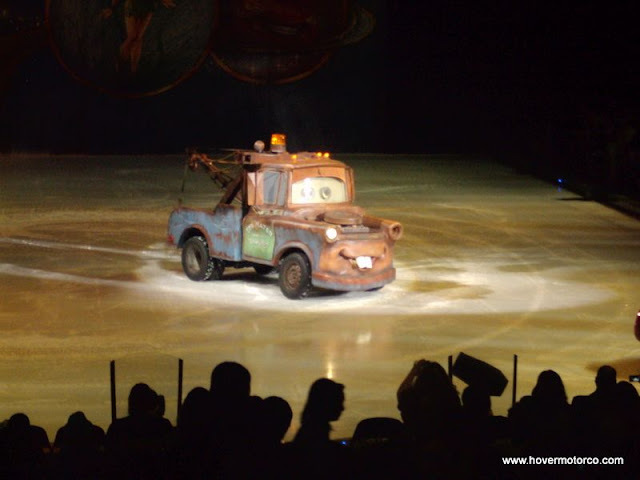 Disney's Pixar Cars 2 Opens in theatres. For more information on Cars 2, visit http://disney.go.com/cars/, or to find a theatre playing the movie near you, check out the Kansas City movie times. Friday, June 24-Monday, July 4. Kansas City, Mo. Art of the Chopper Exhibit in Kansas City's Union Station. 30 West Pershing Road, 64108 For more information, call (816) 460-2020, or visit http://www.unionstation.org/chopper/index.php. Saturday, June 25. Liberty, Mo. Liberty Main Street Car Cruise. Kansas and Main Streets. 5:00 p.m.-8:00 p.m. For more information, call Gary at (816) 524-7669, or Werner at (816) 810-9487. Saturday, June 25. Grandview, Mo. Armacost Auto Museum Tour hosted by the Kansas City Miata Club. Armacost Museum. 4200 East 135th Street. 1:00 p.m.-3:00 p.m. For more information, e-mail tooirish@hotmail.com, or call Deborah at (816) 453-0263. Saturday, June 25. Vandalia, Mo. 14th Annual Dam Few Cruisers Car Show. Vandalia Fairgrounds. 9:00 a.m.-3:30 p.m. For more information, call Boyd at (573) 594-3465. Saturday, June 25. Olathe, Kan. 26th Annual Mustang, Ford Show, and Swap Meet. Bass Pro, 12051 Bass Pro Dr, 66061. For more information, visit http://www.mustangclubofgreaterkc.com/. Sunday, June 26. Holt, Mo. 1st Annual Holt Cruise for Food sponsored by the American Iron Truck Club. Downtown Holt, Hwy 33 & Main Street, 64048. 11:30 a.m.-4:00 p.m. Food drive benefits the Holt Ministerial Pantry. Admission is one non-perishable food item. For more information, call Troy at (816) 320-3957. Saturday, June 25. Chanute, Kan. Mirza Shriners SEKCATS Cruise-In. Downtown Chanute. For more information, call (785) 448-4548. Saturday, June 25. Independence, Mo. Hartman Heritage Center Summer Cruise-In. Jackson Drive next to Buffalo Wild Wings. 6:00 p.m. For more information call Jim at (816) 808-1154. Saturday, June 25. Belton, Mo. Cruzin' Main Street hosted by the South 71 Cruisers. Historic Downtown Square. 4:00 p.m.-8:00 p.m. For more information, call Mike at (816) 898-3698, Russ at (816) 392-0728, Paul at (816) 392-1470, Dave at (816) 898-5174, or Esther at (816) 322-7005, or visit http://www.south71cruisers.org/. Saturday, June 25. Hiawatha, Kan. Hiawatha Annual Car, Truck, and Bike Show. Fisher Community Center, 201 East Iowa Street. For more information, call Ron at (785) 742-1888, or Stacy at (785) 742-7136. Saturday, June 25. Booneville, Mo. Heritage Days Car Show. Downtown Boonville. 8:00 a.m.-3:00 p.m. For more information, call Tom at (660) 882-6248, or Tony at (660) 882-7381. Saturday, June 25. Seymour, Mo. 13th Annual Freedom Rocks Car Show. Seymour South Park. 8:00 a.m.-3:00 p.m. For more information, call (417) 224-7871, or visit http://www.seymourchamber.com/. Saturday, June 25. Neosho, Mo. 4th Annual Celebration on the Square Car Cruise. 4:00 p.m.-8:00 p.m. For more information, call. The Neosho Chamber of Commerce at (417) 431-1925, or e-mail info@neoshocc.com. Sunday, June 26. Kansas City, Mo. 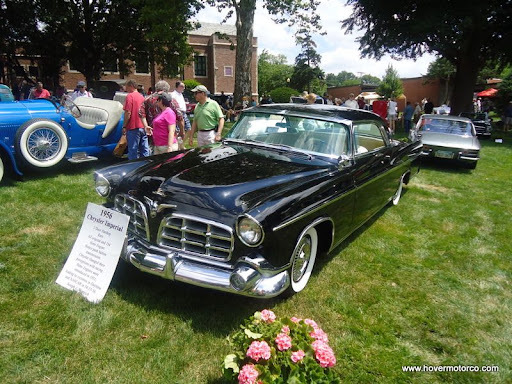 5th Annual Art of the Car Concours. On the campus of the Kansas City Art Institute. 4415 Warwick Ave, 64111. 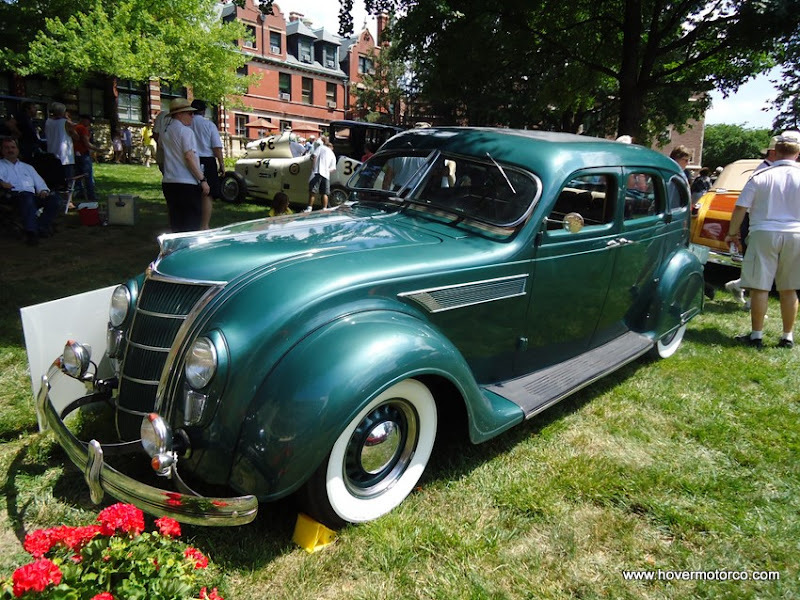 10:00 a.m.-4:00 p.m. For more information, visit http://www.kcai.edu/events/special-events/art-car-concours, or call (816) 472-4852. Sunday, June 26. Gladstone, Mo. Cowtown T's Monthly Cruise Night. Hy-Vee parking lot, 7117 N Prospect, 64119. 5:00 p.m.-8:00 p.m. For more information call Sal at (816) 452-8152 or e-mail sbonsignore@kc.rr.com. Sunday, June 26. Kansas City, Mo. Art of the Machine Display featuring the Mercedes-Benz Club. 10:00 a.m.-2:00 p.m. Kansas City’s City Market. For more information, visit http://www.thecitymarket.org/, or e-mail ppowers@copaken-brooks.com. Sunday, June 26. Columbia, Mo. 29th Annual All Ford Car Show. Parkade Plaza 601 W, Business 70. 9:00 a.m.-3:00 p.m. For more information, visit http://www.centralmomustang.org/, or e-mail mach@hughes.net. Friday, June 24. Kansas City, Kan. Johnsonville Brat Night at the Races. Lakeside Speedway, 5615 Wolcott Dr, 66109. For more information, call (913) 299-2040, or visit http://www.lakesidespeedway.net/. Friday, June 24. Kansas City, Mo. Friday Grudge Night. Kansas City International Raceway, 8201 S Noland Rd, 64138. For more information, call (816) 358-6700, or visit http://www.kcironline.com/. Friday, June 24. LaMonte, Mo. Weekly Racing. L A Raceway, 11649, 65337. For more information, call (660) 563-9878, or visit http://www.laraceway.com/. Friday, June 24-Saturday, June 25. Grain Valley, Mo. Weekly Racing. Valley Speedway, 348 E Old 40 Hwy, 64029. For more information, call (816) 229-2222, or visit http://valleyspeedway.com/default.aspx. Saturday, June 25. Kansas City, Mo. Spectator Appreciation Day. Kansas City International Raceway, 8201 S Noland Rd, 64138. For more information, call (816) 358-6700, or visit http://www.kcironline.com/. Saturday, June 25. Nevada, Mo. Weekly Racing - Midwest Outlaw Vintage. Nevada Speedway, S Barrett Ave, 64772. 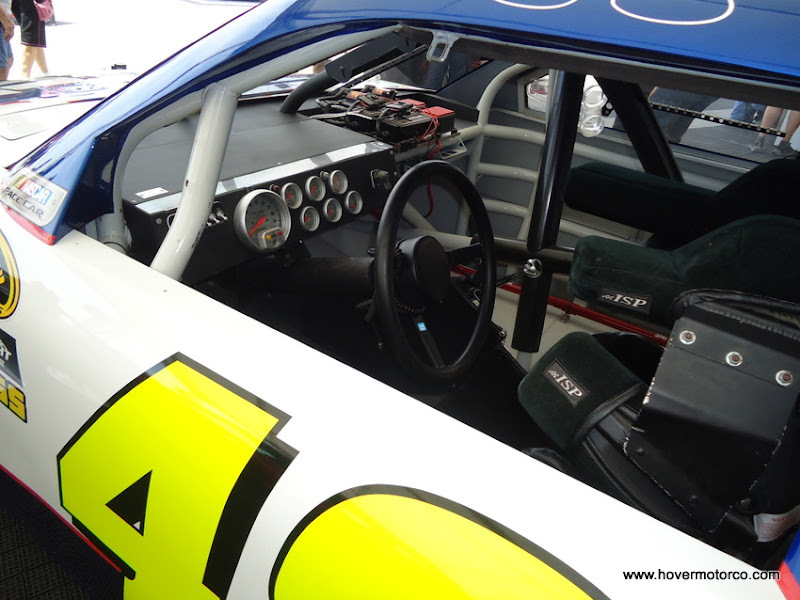 For more information, call (417) 667-5859, or visit http://www.nevadaspeedway.net/. Saturday, June 25. Topeka, Kan. Super Saturday Showdown w/NCRA Racers - Dirt Track. Heartland Park Topeka, 7530 Topeka Blvd, 60610. For more information, call (785) 862-2016, or visit http://www.hpt.com/. Sunday, June 26. Kansas City, Mo. Grass Root Bracket Series. Kansas City International Raceway, 8201 S Noland Rd, 64138. For more information, call (816) 358-6700, or visit http://www.kcironline.com/. To help wake NASCAR Nation back up after a snoozer in Michigan, the Sprint Cup Series takes to their first road course of the year in Sonoma. Meanwhile, the Nationwide Series is going to hammer it out on a different road course at Road America. The trucks are off this weekend. For more information, visit http://www.nascar.com/. Saturday, June 25. Elkhart Lake, Wis. NASCAR Nationwide Series Bucyrus 200. Road America. 4:30 p.m. (c/t). ESPN. Sunday, June 25. Sonoma, Cali. NASCAR Sprint Cup Series Toyota/Save Mart 350. Infineon Raceway. 2:00 p.m. (c/t). TNT.